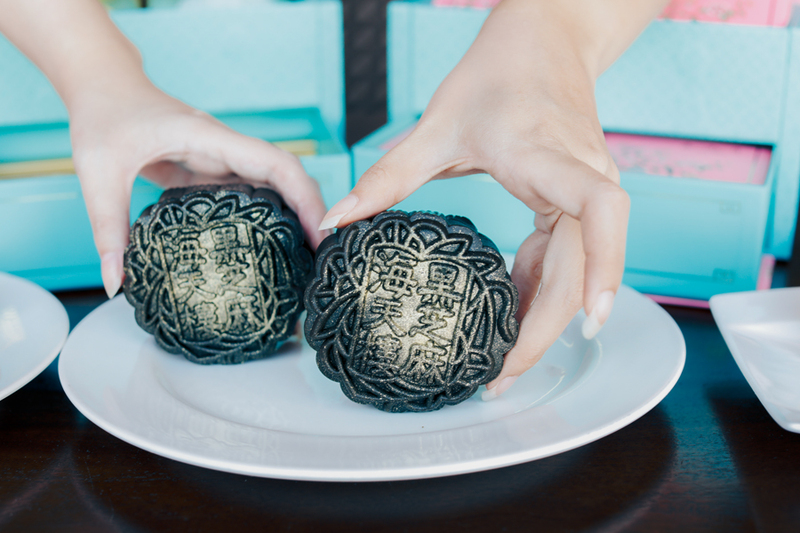 It is the time of the year again to make choices for mooncakes. 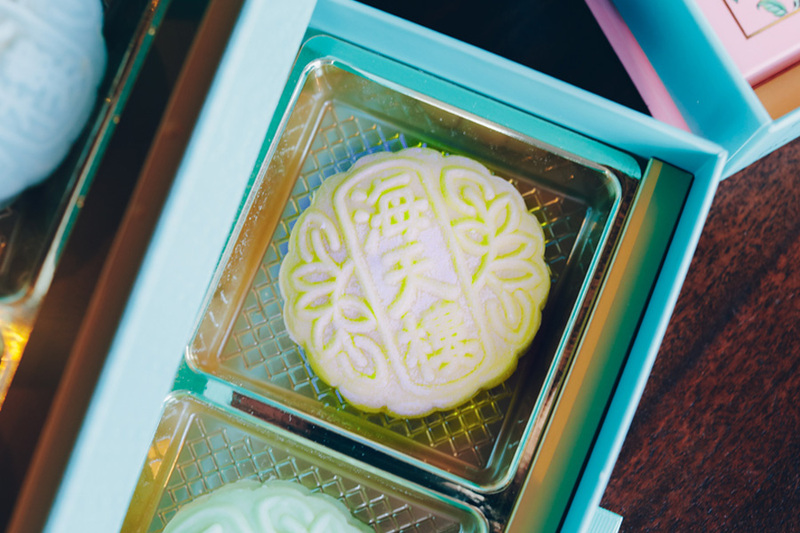 Pan Pacific Singapore has introduced a “heavenly medley” of ten delicately handcrafted baked and snowskin mooncakes this Mid-Autumn from the award-winning Hai Tien Lo. 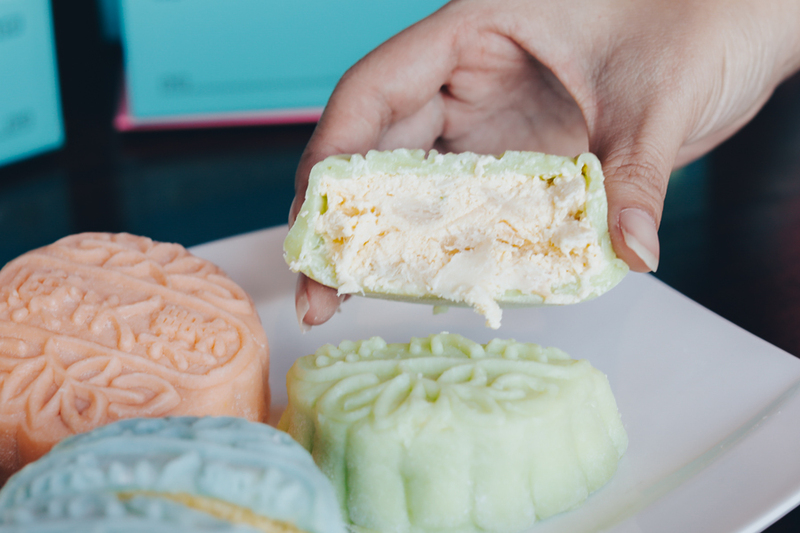 The first mooncake that caught my attention was the Durian Gula Melaka Snowskin, made in a pastel baby blue colour, filled with durian flesh and a Gula Melaka cremeux. 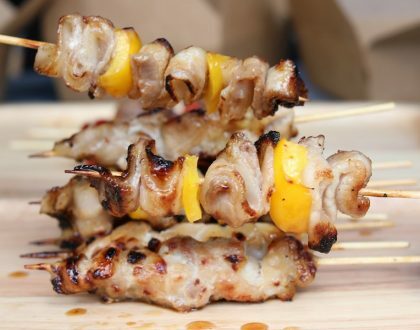 This provides the alluring bitter-sweet durian flesh, a touch of caramelized sweetness. Best to be paired with some Chinese tea. 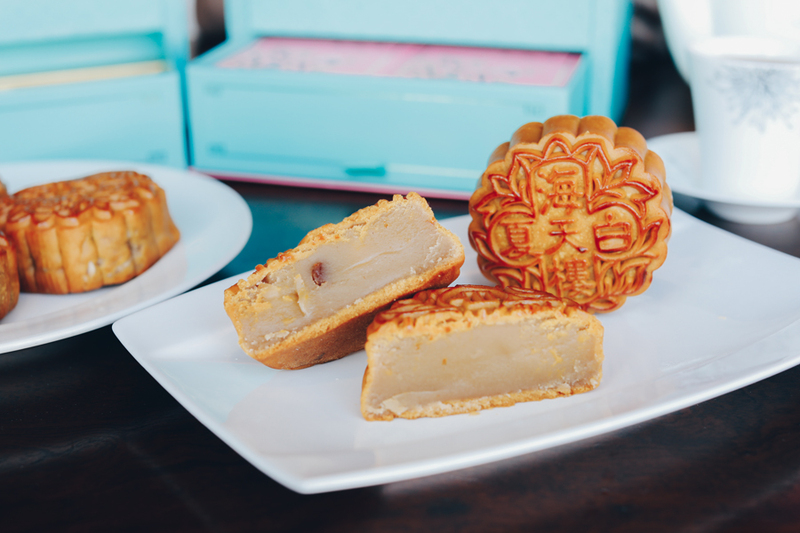 If you are a purist, then you can go for the royal-yellow coloured Mao Shan Wang Durian Snowskin – back by popular demand this year. 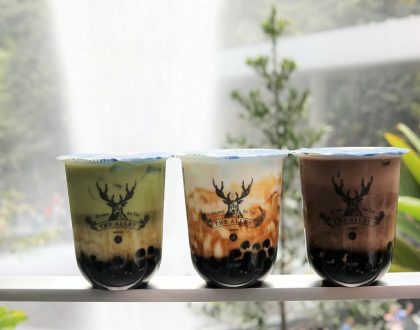 Also available as part of the snowskin collection are new flavours of Cempedak and Lychee & Soursop. 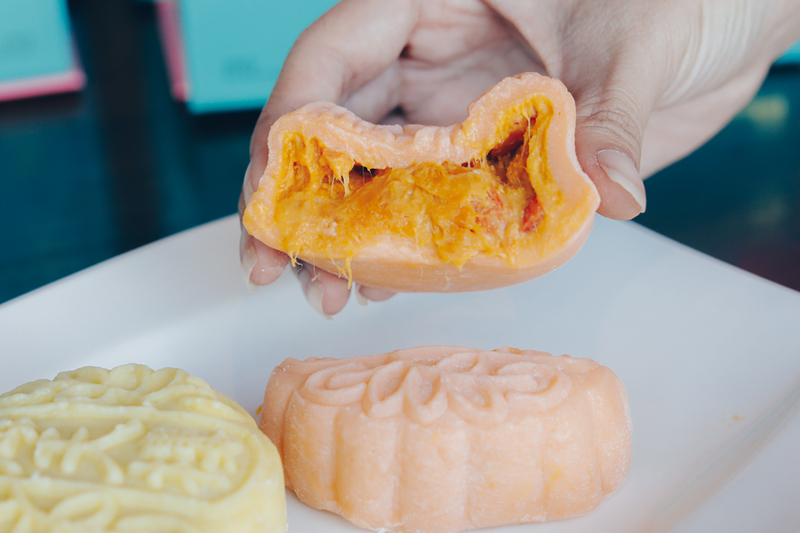 The Cempedak snowskin mooncake has fillings of cempedak flesh in soft yellow-orange colour with a slightly sticky texture and honeyed sweetness; while the Lychee & Soursop has a creamy texture with citrusy-floral sweetness. 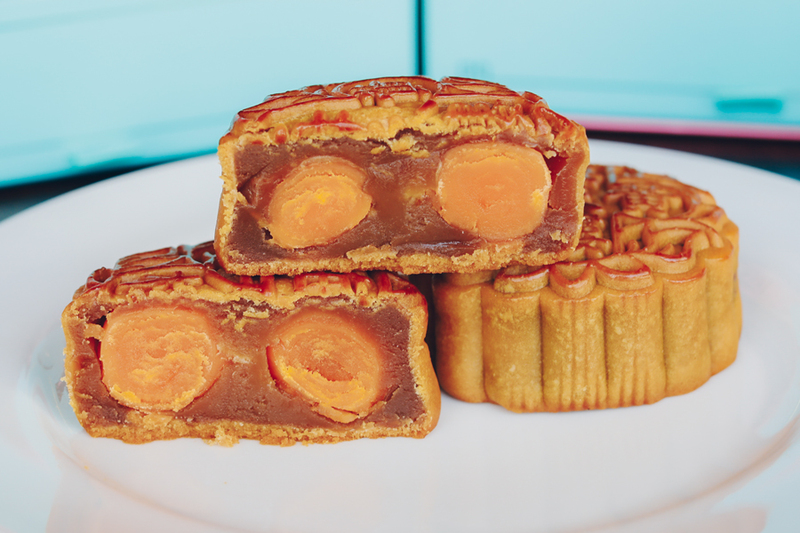 As for the Baked Mooncakes, Pan Pacific Singapore’s signature offerings of Red Lotus Paste Single Yolk and Red Lotus Paste Double Yolk continue to be mainstays. Other classics include the Mixed Nuts with Chicken Ham. 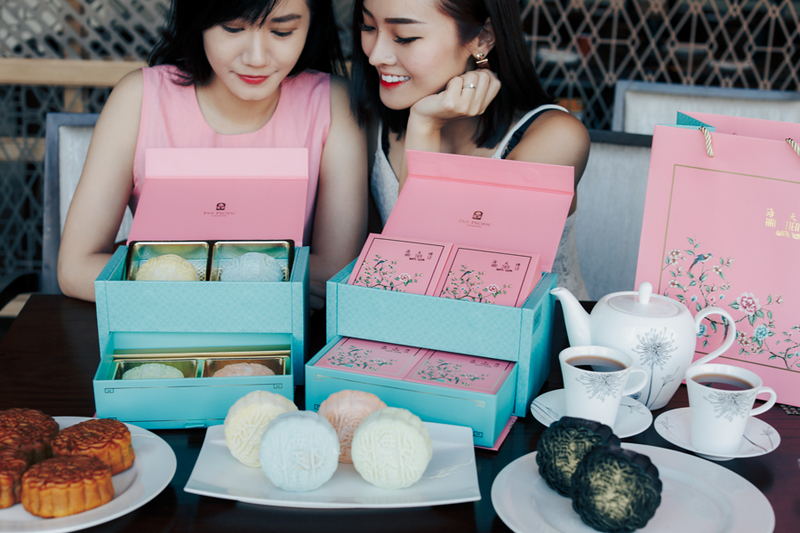 For the health-conscious, good to know that there is an introduction of low sugar flavours – Pandan Paste with Single Yolk, and White Lotus Seed Paste with Macadamia Nuts. 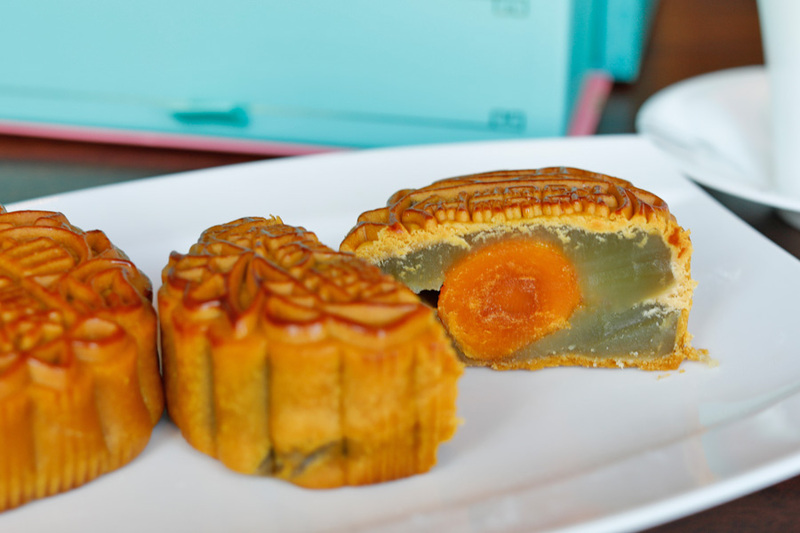 The Pandan Paste with Single Yolk is actually my favourite favourite of all, with smooth and lightly-sweet paste and delightful pandan fragrance. 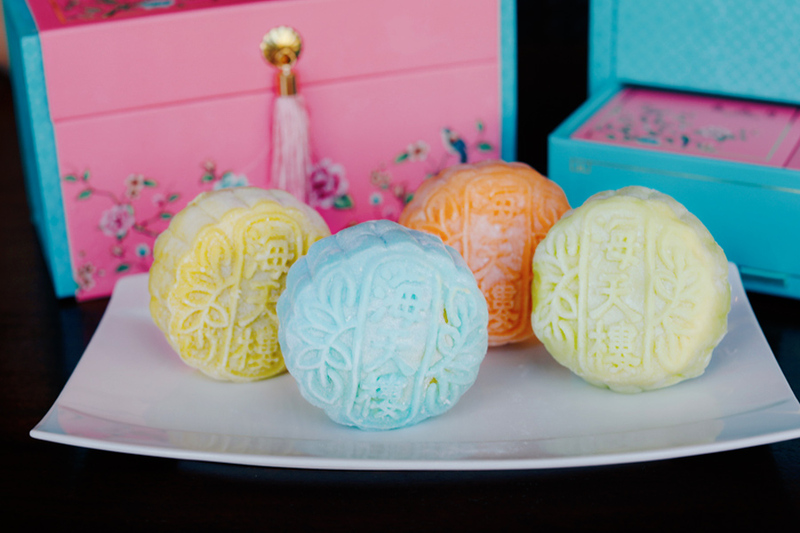 These are made with real pandan juice extract, and includes no artificial colourings. The other not-too-sweet option is the Charcoal Melon Seed with Sesame Paste powdered in gold dust. 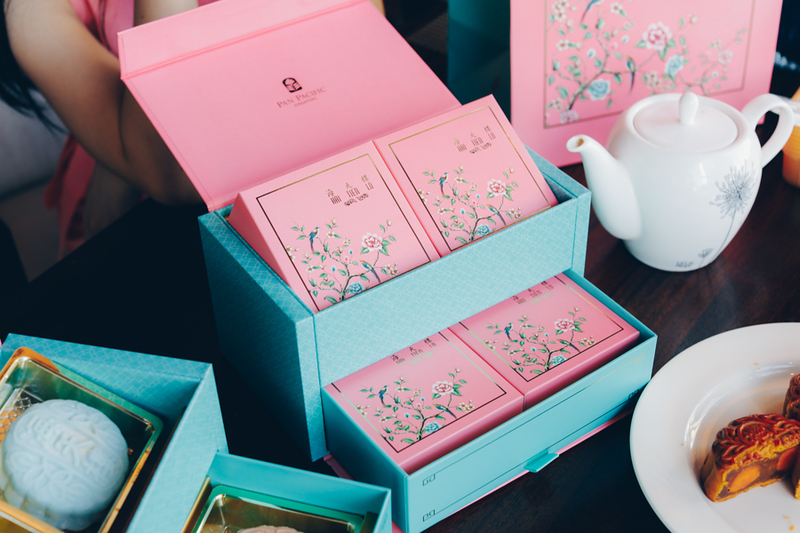 It has a luscious nutty taste, and said to have detoxifying and nutritious benefits. 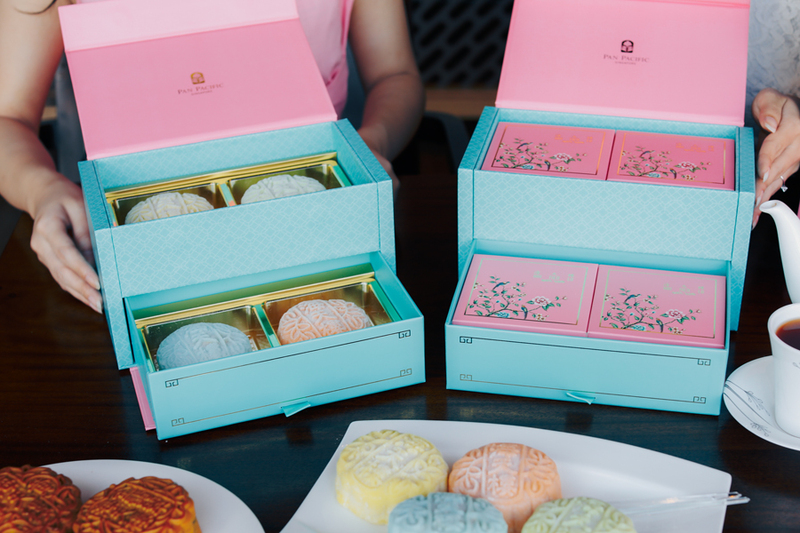 Talking about the packaging, the mooncakes are presented in an elegant double-tier packaging – in cheery pink and powder-blue colours. The fact that there are drawers makes it suitable to be used after the festival as a jewellery or stationary box. 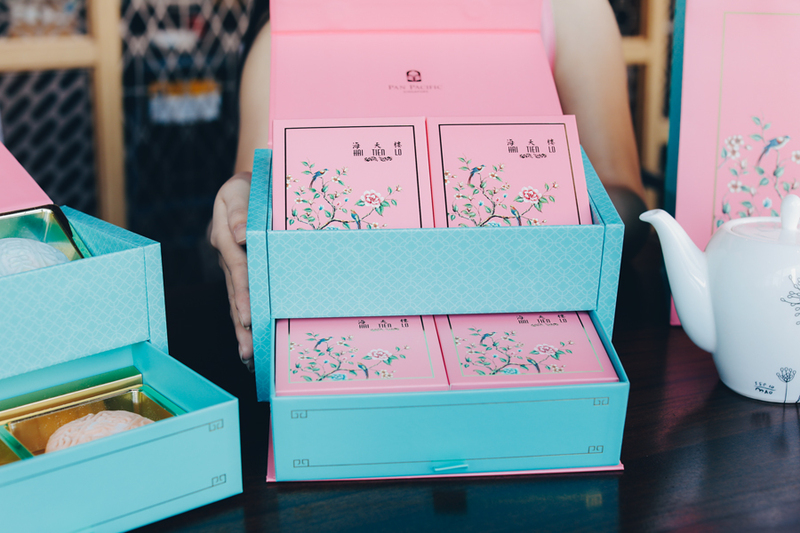 The box of Four Treasures – Mao Shan Wang Durian, Durian Gula Melaka, Cempedak, Lychee & Soursop; or Mixed Nuts and Chicken Ham, Red Lotus Seed Paste with Double Yolk, Charcoal Melon Seed and Sesame Paste, Low Sugar Pandan Paste with Single Yolk, will make a suitable gift for business associates and loved ones. Please allow three workings days to process your order. 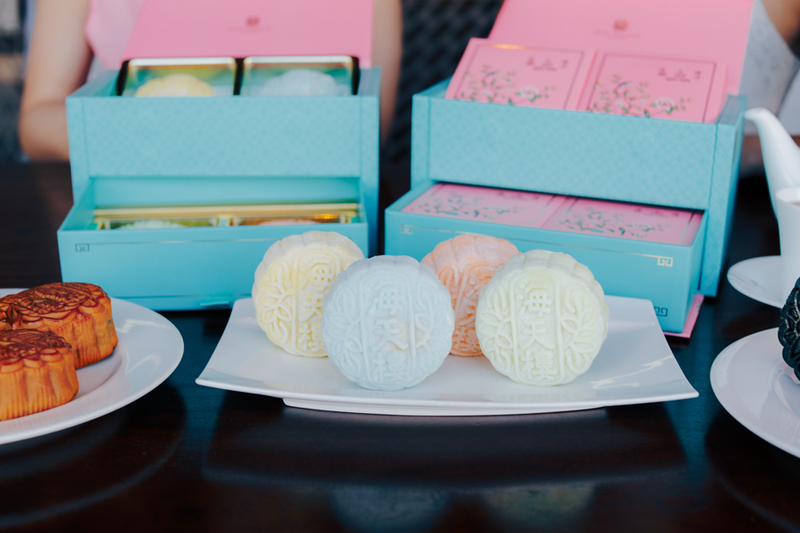 The mooncake collection is on sale now till 24 September 2018. 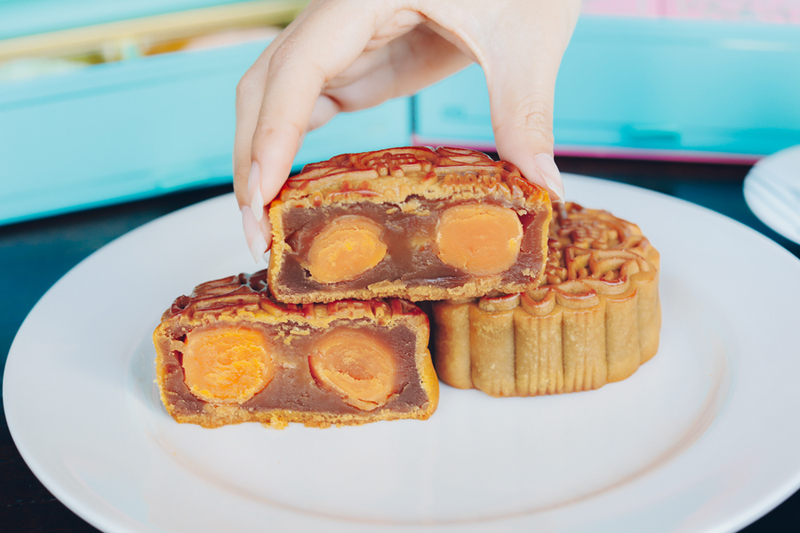 Collection of Mooncakes can be made at Mooncake Booth at Level 1, Pan Pacific Singapore. 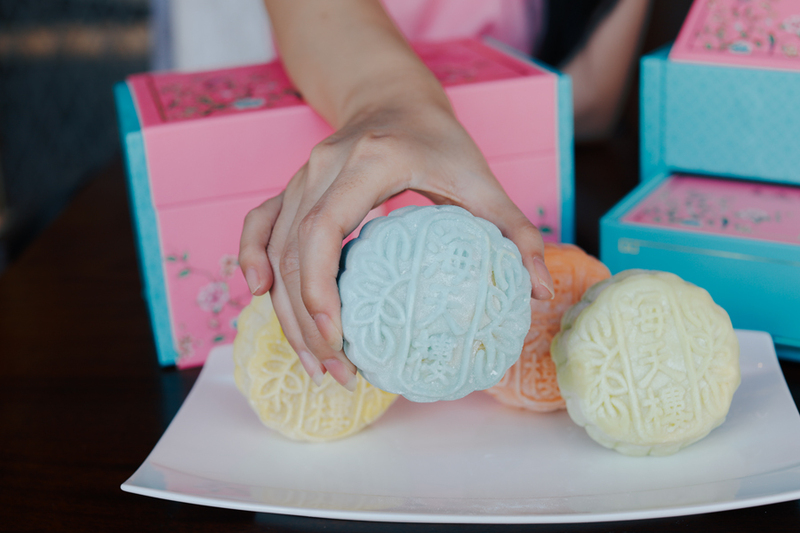 Please note that all snowskin mooncakes are only available for collection from 24 August to 24 September 2018. 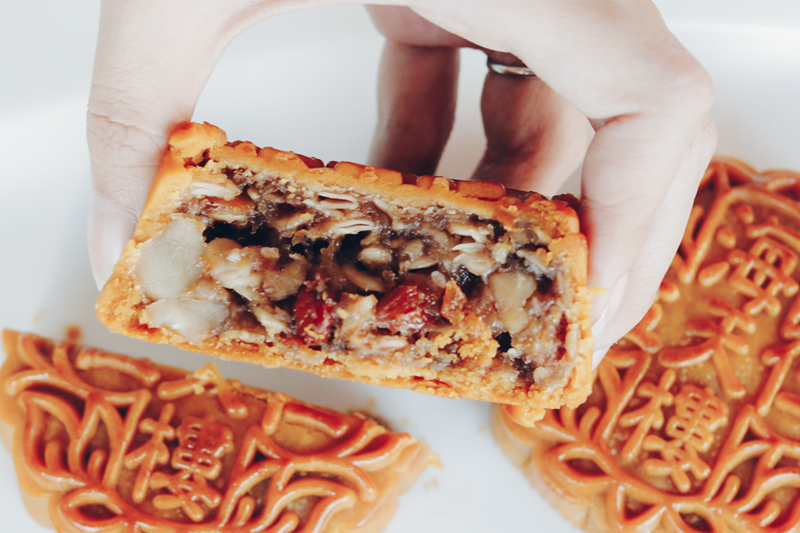 You can also celebrate the Mid-Autumn festival with family and loved ones with Hai Tien Lo’s Six-Course Mid-Autumn Reunion Set Menu. 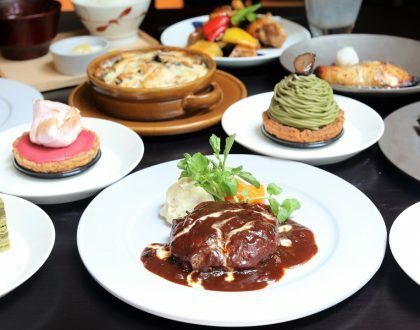 Highlights include Braised Fish Maw and Fresh Scallop with Minced Pork and Chef’s Signature Homemade XO Chilli Sauce, and Steamed Fillet of Sea Perch with Crispy Bean Crumbs in Superior Soya Sauce. 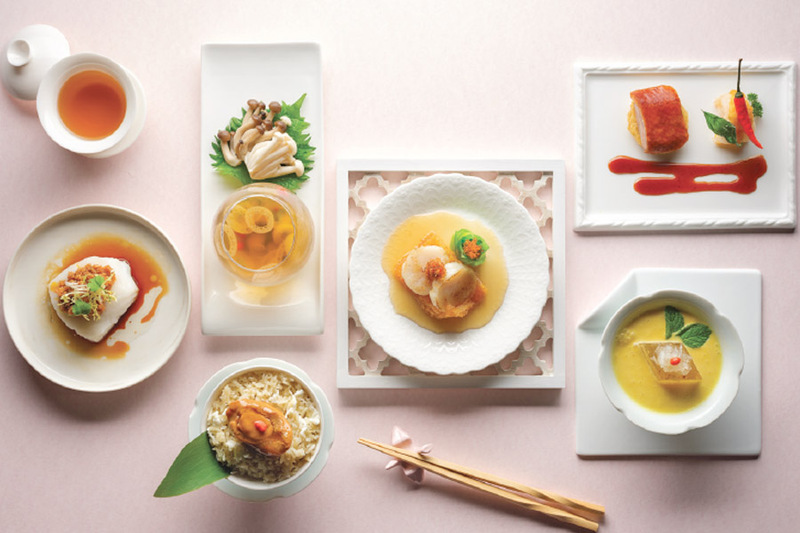 Priced at $138++ per person, the Mid-Autumn Reunion Set Menu is available from now till 24 September 2018 for dine-in at Hai Tien Lo. 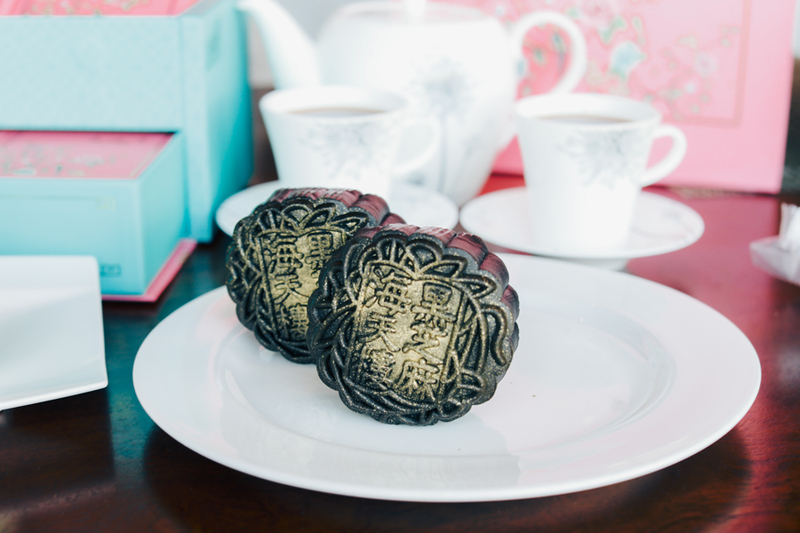 Plus, you can receive a complimentary box of Four Treasures Baked Mooncakes with every two diners. 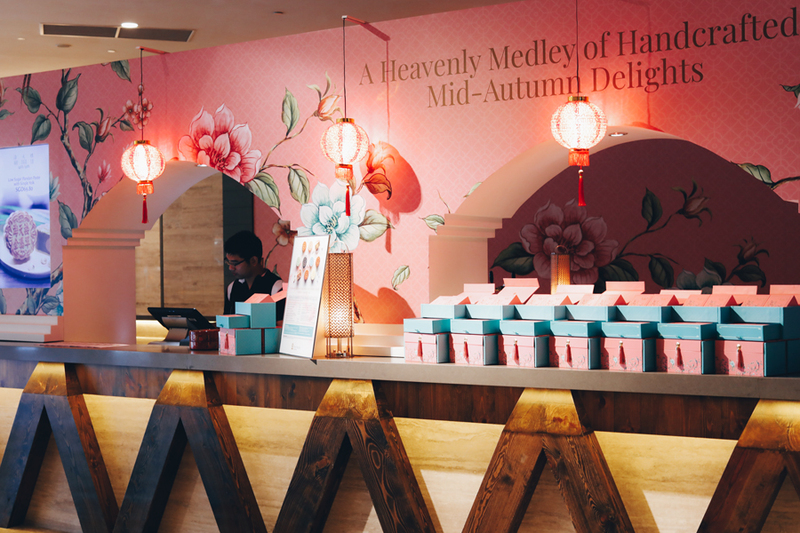 * This entry is brought to you in partnership with Pan Pacific Singapore.